Food and diet are central to understanding daily life in the middle ages. 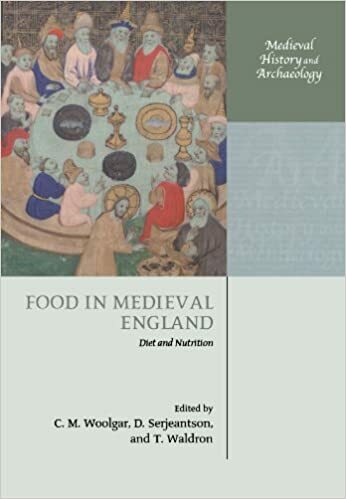 In the last two decades, the potential for the study of diet in medieval England has changed markedly: historians have addressed sources in new ways; material from a wide range of sites has been processed by zooarchaeologists and archaeobotanists; and scientific techniques, newly applied to the medieval period, are opening up possibilities for understanding the cumulative effects of diet on the skeleton. In a multi-disciplinary approach to the subject, this volume, written by leading experts in different fields, unites analysis of the historical, archaeological, and scientific record to provide an up-to-date synthesis. The volume covers the whole of the middle ages from the early Saxon period up to c .1540, and while the focus is on England wider European developments are not ignored. The first aim of the book is to establish how much more is now known about patterns of diet, nutrition, and the use of food in display and social competition; its second is to promote interchange between the methodological approaches of historians and archaeologists. The text brings together much original research, marrying historical and archaeological approaches with analysis from a range of archaeological disciplines, including archaeobotany, archaeozoology, osteoarchaeology, and isotopic studies.